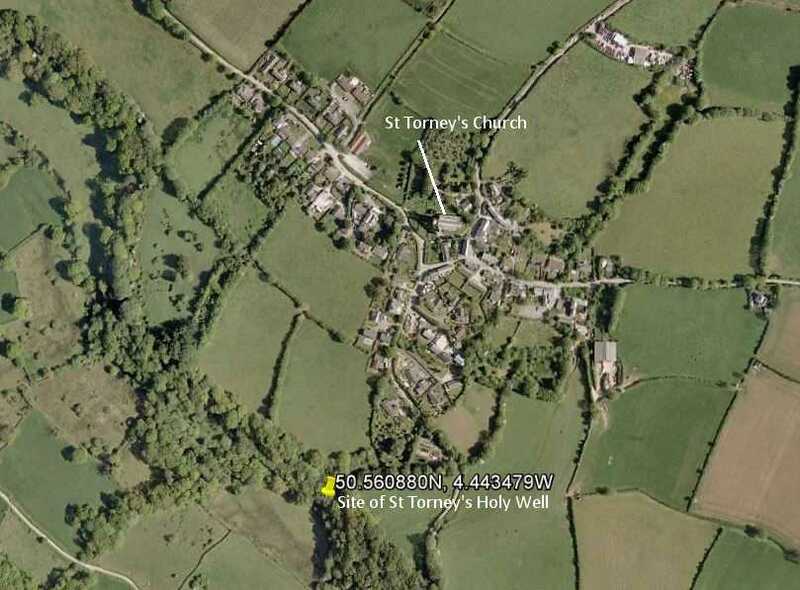 St Torney’s Holy Well is on the River Lynher ¼ mile SSE from St Torney’s Church (OS Map reference - SX27037631). The site is reasonably accessible but the well is usually partly concealed by the luxuriant undergrowth that abounds in this quiet spot where the only noises you’ll hear are the birds singing and the river chattering as it tumbles over its rocky bed. The River Lynher has carved its course along the junction of the granite of Bodmin Moor to the south west and the surrounding slates and shales which lie to the north east. This provides the conditions for an upwelling of pure water which was much valued by earlier inhabitants of the area. The earliest use of the well has been lost in the mists of time but it is considered to pre-date St Torney’s Church was built around 1269 AD. The site and location are well explained on The Megalithic Portal website. 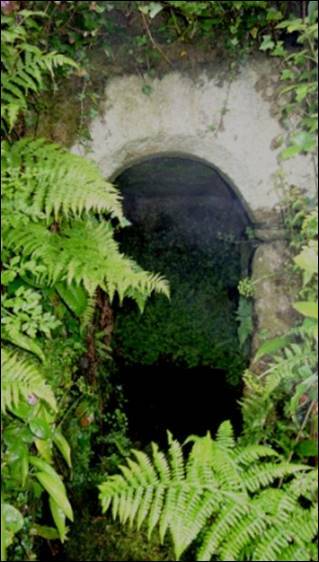 The Holy Well and the Church are both on the line of the Mary Michael Pilgrims’ Way, which is described as an earth energy line and stretches from St Michael’s Mount to Norfolk and was rediscovered by the use of dowsing techniques. North Hill lies on the Mary branch of the lines, as do Trewithey Farm and The Hurlers. The well was also linked to the church via a ceremonial way passing through Battens farm and across the field, dividing at the old cottages (now demolished), one part going to Battens Mill, the other down to the well. The lower part was removed with the construction of the mill leat. The purity of water in holy wells is due to the supply coming from deep down often bringing mineral salts which in some locations are considered to have specific curative properties. The form of the arch indicates an early medieval construction. Water dropwert is the large plant in the outflow of the well where watercress is also found. Around the top there is wild garlic. In spring there is an abundance of bluebells nearby. The waters from the Holy Well flow into the Lynher. Further down the course of the river the waters pass through the parish of St Erney who is believed to be the same person but sadly nothing is known about this saint, beyond the suggestion that he was a Breton. A Holy Well was recorded here in 1018, probably known as St Mark’s Well, hence the name of a settlement there named Markwell. A chapel is also recorded at Markwell in 1308 and this is near the Holy Well site.